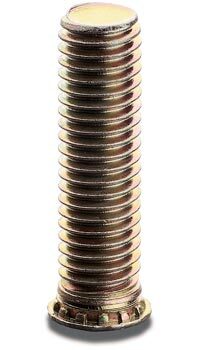 Kalyani Sales Corporation has marked its excellence as one of the trusted flush head Self Clinching Studs Manufacturers in India. The Self-Clinching Studs offered by us are manufactured from steel, Stainless Steel & Aluminium with specifically designed head, which makes them useful in thin walled moulded components made from steel, light alloy or NF metal. Self Clinching Studs are designed to provide wear free screw connection capable of withstanding high loads in thin walled moulded components from 1.0 mm thickness & above. Medical & Pharmaceutical equipment, etc.